Offering you a complete choice of products which include sleepcube auto plus. We are highly experienced firm gaining wide acclamation for the quality of our offered Sleepcube Auto Plus. The offered machine comes with adjustable pressure which offers optimum comfort to patients suffering from apnoeas, hypopnoeas and snoring. For an added comfort the machine comes with optimum pressure settings, smart flex and flow rounding features. 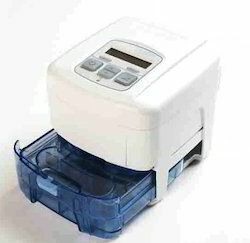 We are partnered with credible entities and sourcing the industry approved PAP device which can be ordered from us at the market leading price.